The 2017 Traveler’s Holiday Gi..
With designs produced by homegrown artists paying homage to Californian subcultures, the most obvious being a deeply seated admiration of surf and sea, this NorCal-based clothing brand birthed on the shores of Santa Cruz is the perfect blend of place informing product. $28 for the shirt. Enter ‘BLOODNSEA20’ for 20% off your entire purchase. This resplendently packaged candle is part of the ‘This Land is Your Land’ collection by Ethics Supply Co. An ode to the many natural and manmade marvels of the United States, the adventure-inspired candles help you cover every far corner of the American states… minus the mileage. 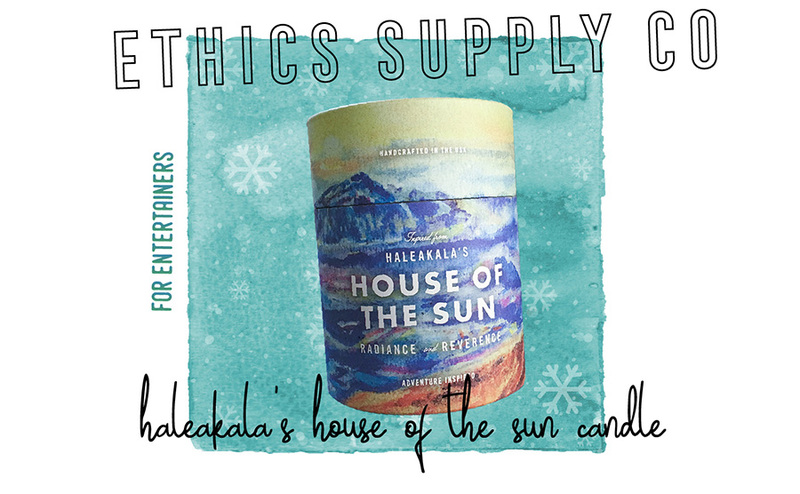 When lit, the House of the Sun candle with its notes of pikake jasmine, sea salt, and Hawaiian sandalwood are meant to capture the experience of watching the sunrise from Haleakala’s volcanic summit in Maui. $42 for this artisanal candle. List makers, meet your match. This scratch off bucket list poster is an upgrade of the popular travel scratch map, with 100 destinations hiding behind each tiny square. You have the cornerstone bucket list destinations like the Statue of Liberty and the Colosseum, but also more off-the-beaten-path treks like Myanmar’s Bagan and Peru’s Nazca Lines. $18 for one poster. My hair usually goes haywire whenever I travel as it is super sensitive to the different minerals in other country’s water, along with all the changes of various climates and environments. 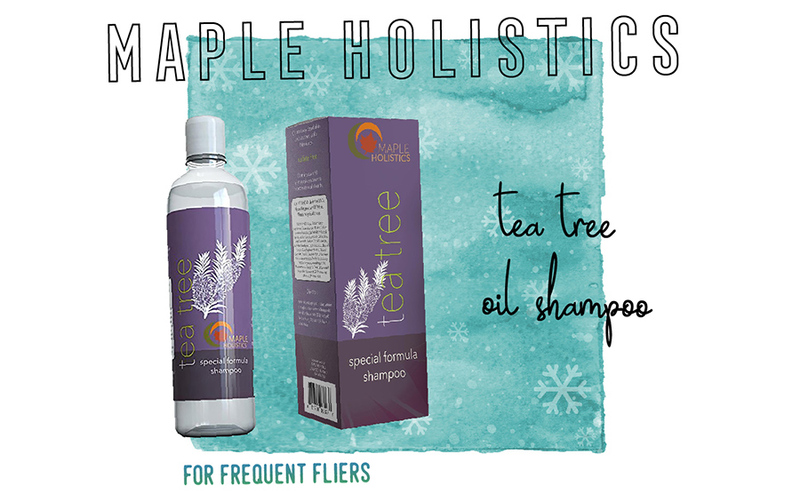 The discovery of Maple Holistics Natural Tea Tree Oil Shampoo has been an actual gamechanger timezone to timezone. Made from a simple tonic of natural oils including botanical keratin and—you guessed it—tea tree oil, after one wash, my hair is in a better state than it arrived in. $25 for an 8 oz. bottle, now on sale for $8.95. Not ready to spend cash? They even have a free samples program that you can enroll into to get great products! A one-of-a-kind, lightweight knapsack whisks you away to mystical Jaipur, a desert city in the Indian state of Rajasthan recognized for its wondrous bazaars and palaces of wind. 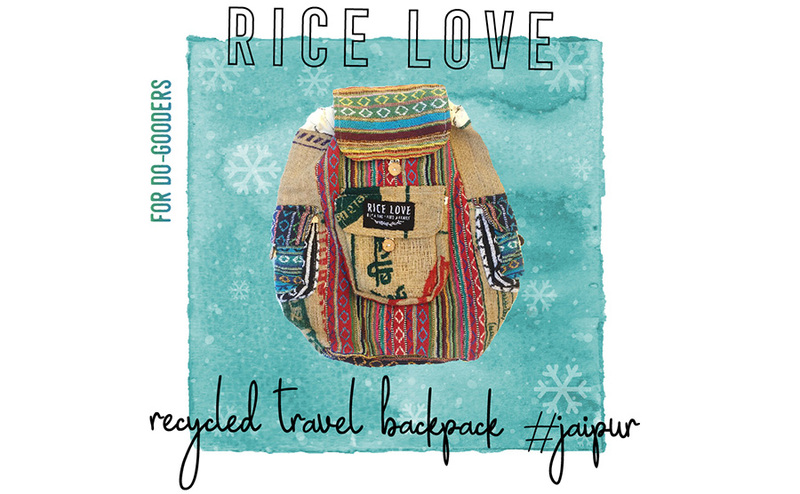 The mission of Rice Love is to feed hungry families and through your purchase of this bag, you’ll be providing one family three square meals for a day. Each bag has a unique story, shared by fabric taken from disposed burlap rice bags, a local seamstress who pieced it together, a family fed, and once procured, you become woven into this storyline. $45 per upcycled bag. Enter ‘CouponCode’ for 10% your entire purchase. 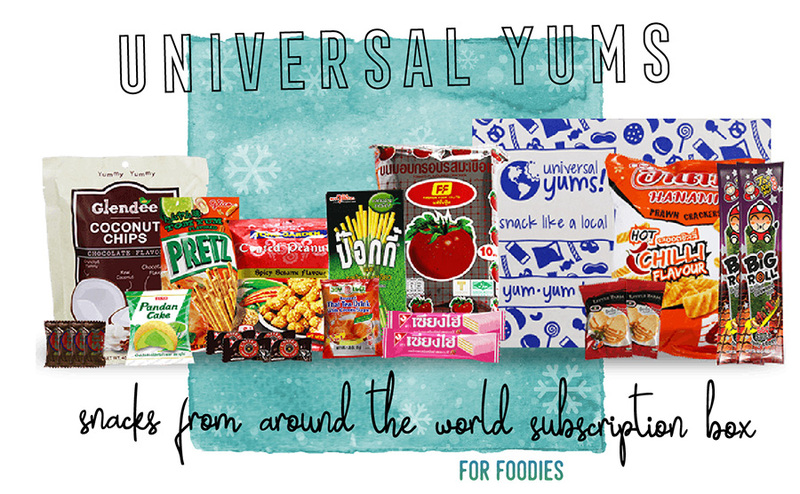 If you’re like me and know the best souvenirs can be acquired on a grocery store shelf, than the Universal Yums subscription box was made for you. A box of snacks from *insert country here* is delivered to your door monthly. There’s also an 8-page booklet to travel deeper into the mix. The mini Yum Box comes with 6 snacks. Double size the order to 12 snacks with the Yum Yum Box. Mexico is having a moment. Everything from its cuisine to its cities is taking the world by storm, and its textiles and trinkets are no exception. This bracelet announces itself without being too gaudy. Made from microglass beads and complemented by colored tassels capped in gold, you can dress up any low-key outfit with this statement piece. Now 40% off, $21 for one bracelet. Every recipient is a winner with this stocking stuffer! Scratch these cards to reveal gifts of literacy, solar power, clean water, and nutrition. How is this done? 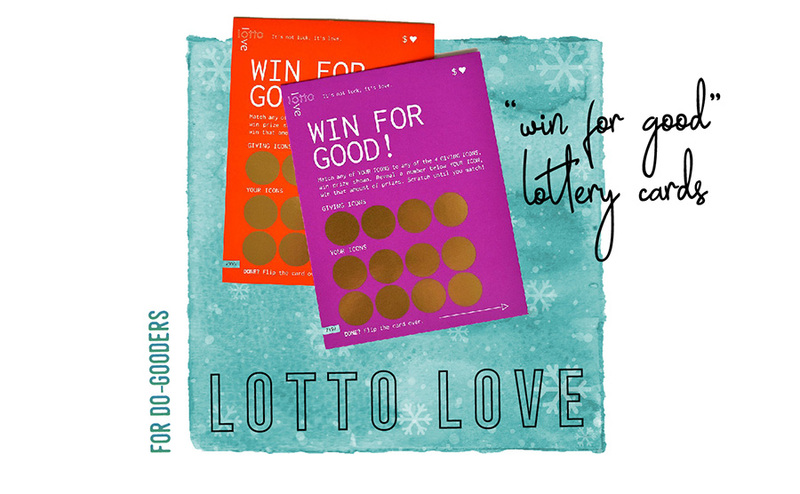 Once your purchase is made (including two ‘basic needs’ scratch cards and a gold foil greeting card,) Lotto Love donates the proceeds from your purchase to its partner organizations to fulfill their social mission. $20 for a variety pack of 2 with gold foil greeting cards. A rainbow striped blanket bordered by fuzzy yellow pompoms evoke the “Siesta for Fiestas” ideology made by makers of the same name. 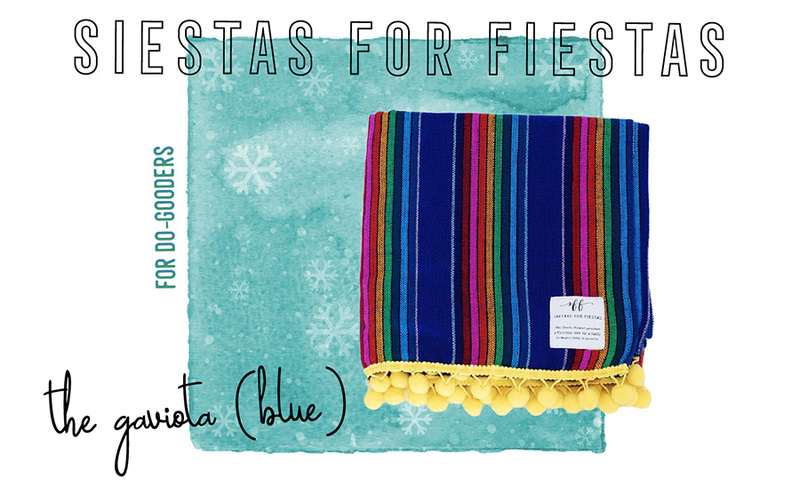 But it also alludes to the company’s do-good mission that for every blanket purchased, a family in need in Mexico receives a full Christmas dinner. Sourced in Mexico—I told you, Mexico is having a moment—you can pre-order your next beach investment for $58. 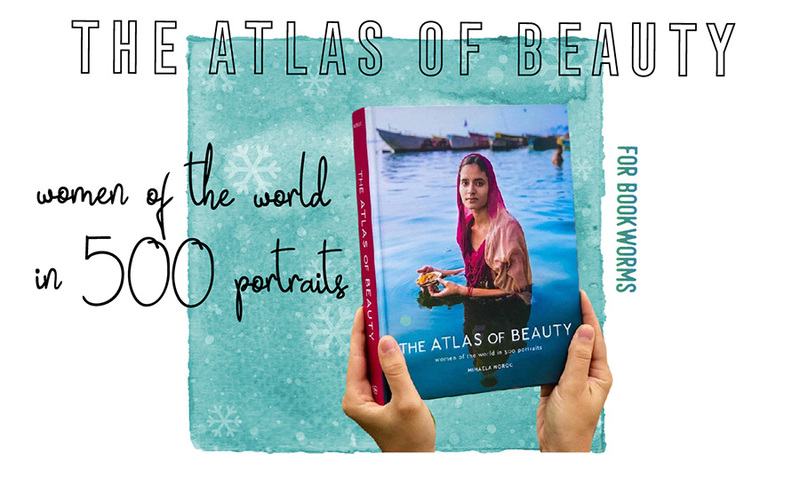 Beyond its societal impact as a tool to redefine what it means to be beautiful across all national and cultural borders, I also commend photographer Mihaela Noroc’s perseverance to transform an online project into a hardcover tome. Since 2013, she’s traveled around the world to photograph the everyday woman. The 500 portraits are poignant, compelling, and will keep future guests entertained as they thumb through the next addition to your coffee table library. Get a hardcover edition for $19.02 on Amazon. 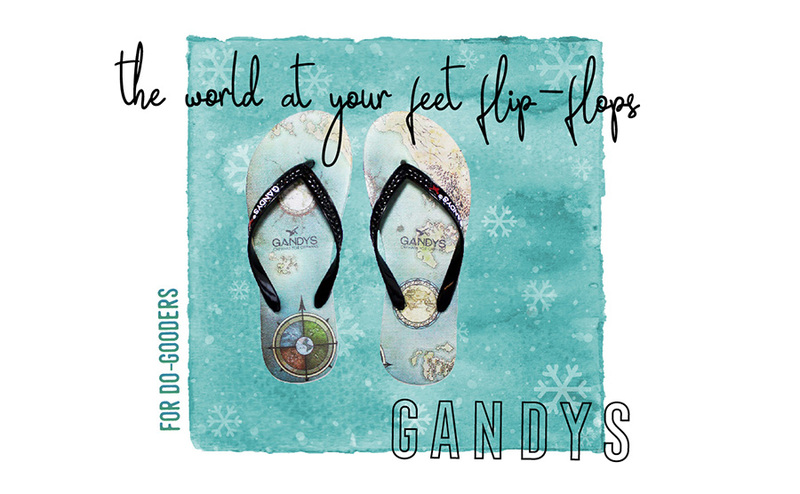 When brothers Rob and Paul lost their parents in the 2004 Thailand tsunami, they transformed their grief into action and founded Gandys, made by orphans, for orphans. Their line of goods include these cartographic flip flops that will undoubtedly be a compass for better living on your travels. Originally $28.00 for a pair, on sale for $17.50. 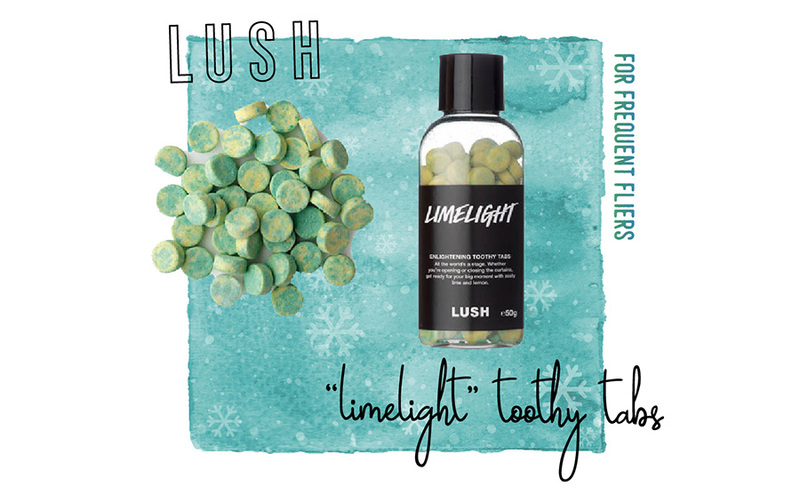 A citrusy, zesty version of the original Miles of Smiles Toothy Tabs, the Limelight toothy tabs make the act of tooth brushing something to look forward to. Before you hit a night on the town with newlymade friends or deboard a 12-hour red eye flight, just pop one of these tabs into your mouth and start brushing. Your teeth will feel extra fresh and sparkly. $10.95 for a 1.7 oz bottle. READY, SET, JET! Wouldn’t it be nice if the prepwork for every trip could be as neatly wrapped as this cheery yellow giftbox? 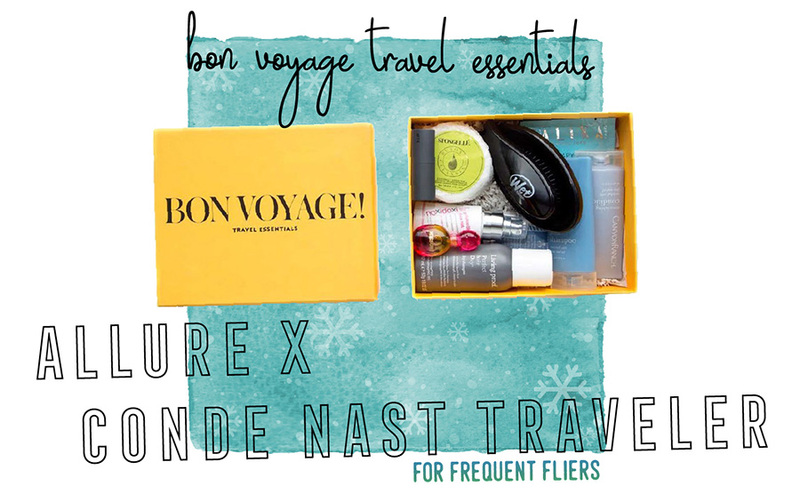 Carefully curated for travelers constantly on the go-go-go, every box comes with dry shampoo, a gel mask, face mist, a foldable brush, and some fancy contraption called “the spongette” that has been crafted to “time release” body wash but is not a liquid. Fascinating. $39.95 for a limited edition box. Ethnotek marries indigenous textiles with practical travel gear, crafting a beautiful line of socially responsible, modern handicrafts that showcase heritage. 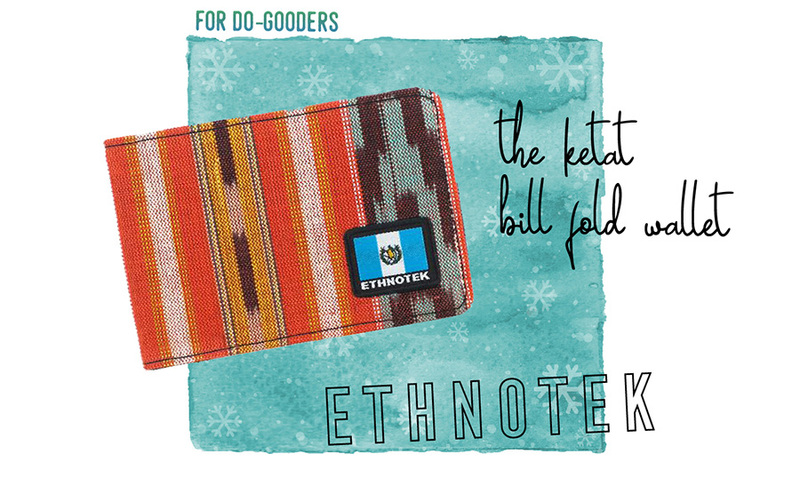 The “ketat” wallet, which comes from the Bahasa Indonesian word for “tight,” is made from 100% recycled bottles and is tagged with a patch of the country’s flag from where the textiles came from. Do you know where the wallet in the picture is from? Comment below! $19 for billfold wallet. 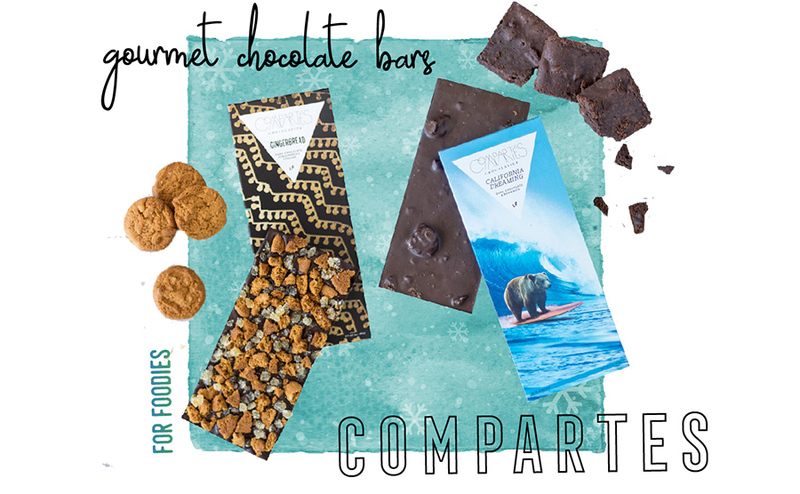 The chocolatier with a celebrity following, ‘made in Los Angeles’ Compartes is back with a chic new repertoire of holiday chocolate bars made with the finest chocolate from around the world and studded with crumbles of yuletide-specific treats. If the sugar bomb fails to entice you, maybe the pretty packaging will. They also have an exclusive line of California-inspired chocolates called “California Dreaming.” Get it while it’s hot. $9.95 for the California Dreaming Dark Chocolate Brownie Bar. $11.95 for a Limited Edition Holiday Bar. 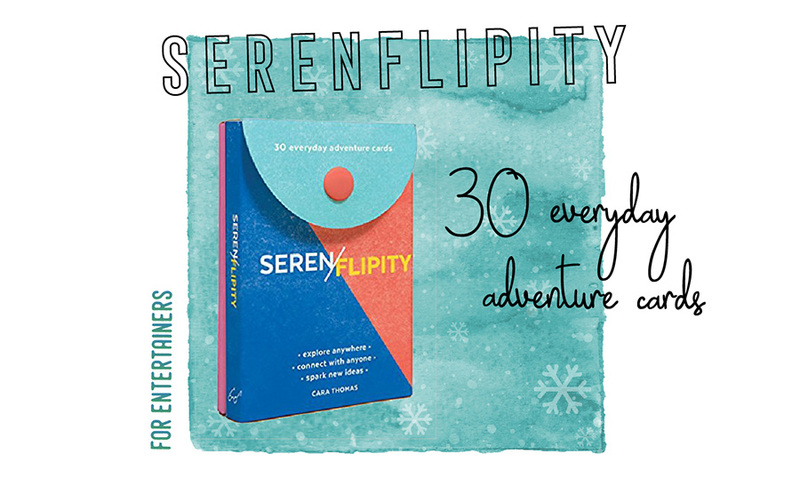 If you have a hard time being present, tote around this nifty deck of “everyday adventure cards” to inspire you to live life a little more in the present. Each card has a set of written instructions that you must follow… leading you into who knows what kind of serendipitous situation. $11.83 for one deck. The art of papercutting has long fascinated me due to the sheer finesse of bringing to life a complete image out of one single sheet of paper. 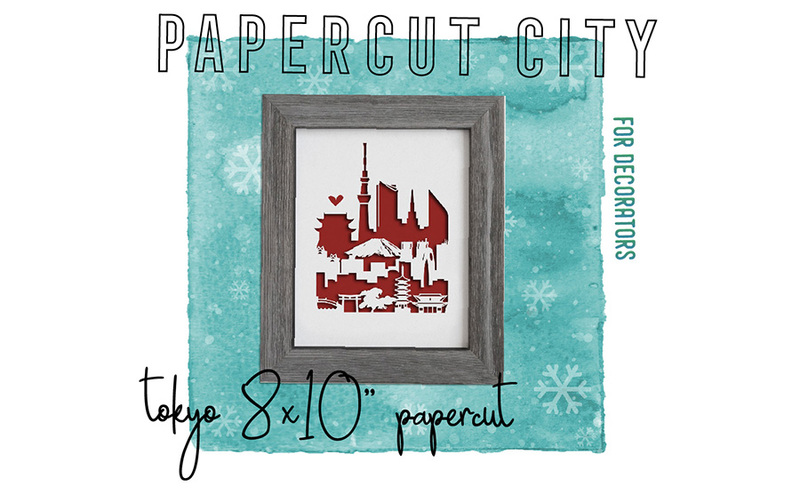 The work of Papercut City is a wonderful way to commemorate one’s hometown, an adopted city, or even a cityscape which stokes feelings of fernweh in you. The Japan papercut juxtaposes the old and the new, a counterbalance between ancient temples and modern skyscrapers with the iconic Mt. Fuji at the heart of the scene. On sale for $24 without frame, $44 with a white or gray frame. Bienvenue a Paris! Beyond the practicality of investing in a luggage cover (because you know they’re definitely ignoring that “fragile” label), this cover celebrates the joy of journeying. 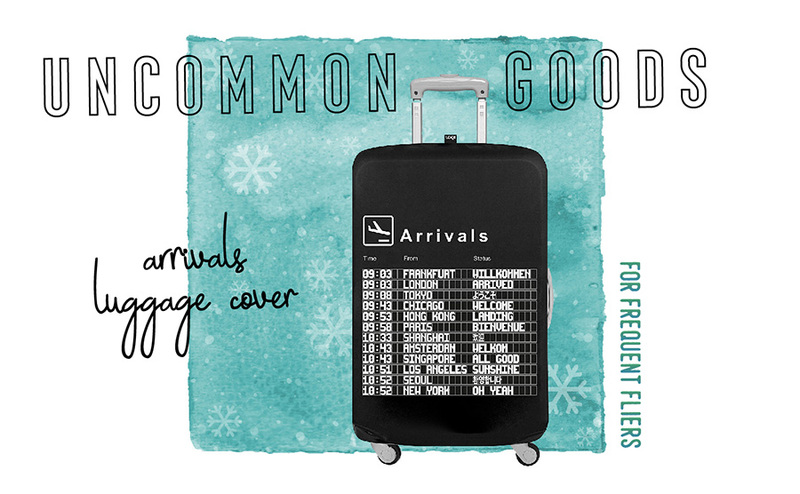 Modeled after airport status screens, this cover features both a list of Arrival and Departure destinations with positive phrases to company major airports written in a mix of official languages and English. $26.95 for a luggage cover. Halva is not for everyone, but for the gourmands in your life, there’s something about this gritty Middle Eastern confection and the way it breaks so elegantly at the slightest touch. Upon first taste, the texture is a rich, buttery encounter, feeling dense, yet weightless all at once. 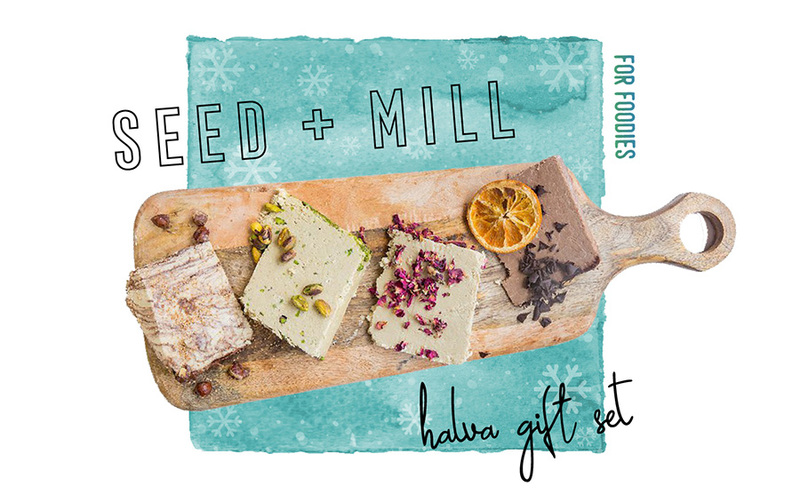 Seed + Mill, out of New York, churns up gorgeous bricks of gluten-free halva infused with ingredients like dark chocolate, orange, coconut, and sweet pecans. $35 for gift set. Disclaimer: This post contains affiliate links. If you purchase one of these items from Amazon through The Next Somewhre, you will help keep my site running. ‘Tis the season of giving! 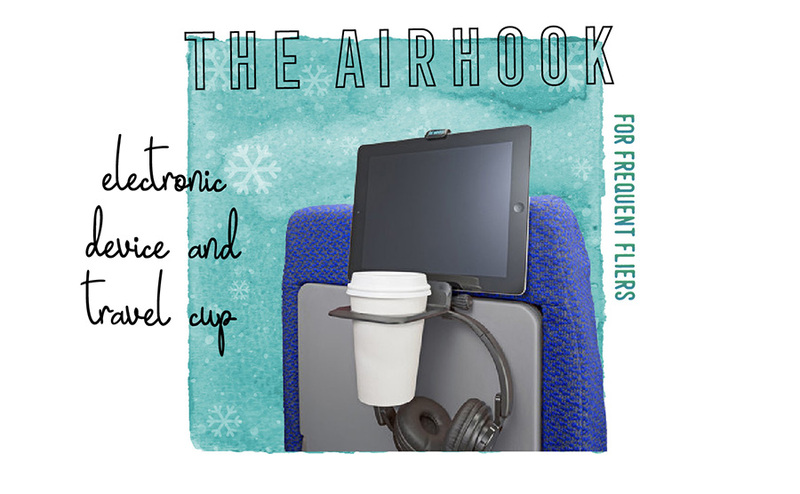 I love and NEED the Airhook Drinking Cup and Electronic Device Holder – I’ve just come off a long haul flight and it was so awkward trying to cram everything you need into the airline’s mesh magazine holder thing in the back of the seat in front of you – this looks fabulous. Might drop it as a “hint” to my husband for this Chrismtas! I love how beautiful you manage to make something as simple as a gift guide! I love it! Plus, I want basically everything on it! (Is it socially acceptable to buy myself all these Christmas gifts?) haha I’m loving that tassel bracelet. It’s so darling. I also can’t believe that the Ketat Bill Fold Wallet is made from water bottles, I never would’ve guessed! This time of year is chock full of gift giving posts. I really like yours and think it’s actually stuff worth gifting as opposed to the same scratch map gifts everyone else points out. They look fantastic. Really well done – time to go shopping! This is a travel gift gold mine! Love all of them! Seriously wish they would appear under my tree this year! The recycled backpack is an absolute stunner. I’d love to be pampered too with some tea tree shampoo. 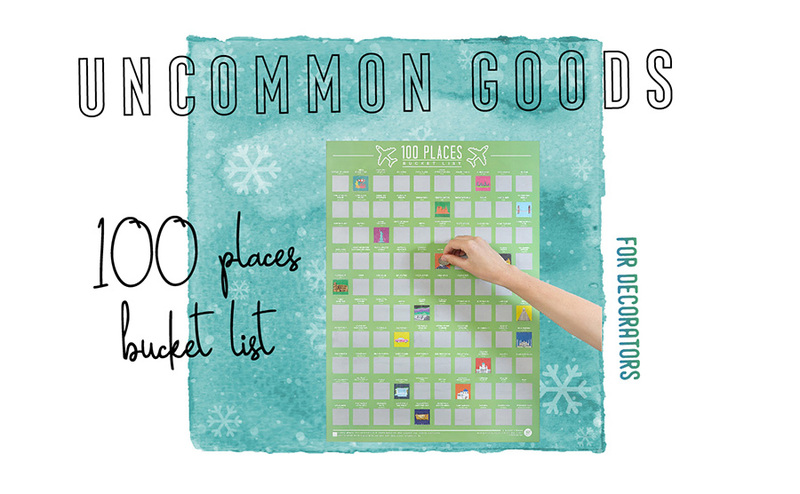 The 100 places bucketlist poster also looks cool. Happy Holidays to you Izzy! This is such an awesome gift list! 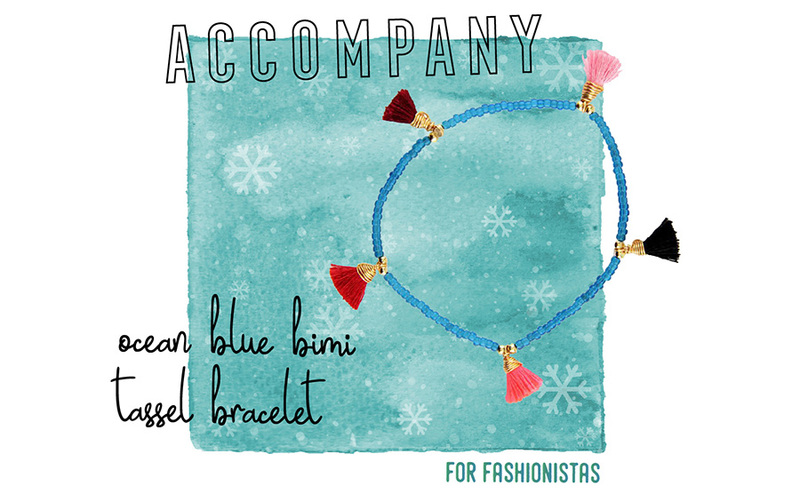 I particularly love the bracelet and the tassel bracelet for myself! For my partner, I’d definitely buy that airhook for the plane as he always needs more space! Very cool list. Very nicely posted, I agree with the others your graphics are very pretty and functional. I am very interested in the AirHook and the Luggage Cover both are functional (I’m a functional kinda guy) and are examples of smart and easy tech to make your travel a little less stressful. Thanks for sharing. Keep traveling and blogging, Adventure is better shared with friends! All of these gifts ate classy and chic. I can imagine myself with all of them at different times and it made me happy. Those subscription packages are the highlight for me. I just need someone to gift me fee of these gifts, I’m not greedy for all. I’d bookmark your page for gift ideas for my travel buddy for his birthday. Wow! Amazing list! 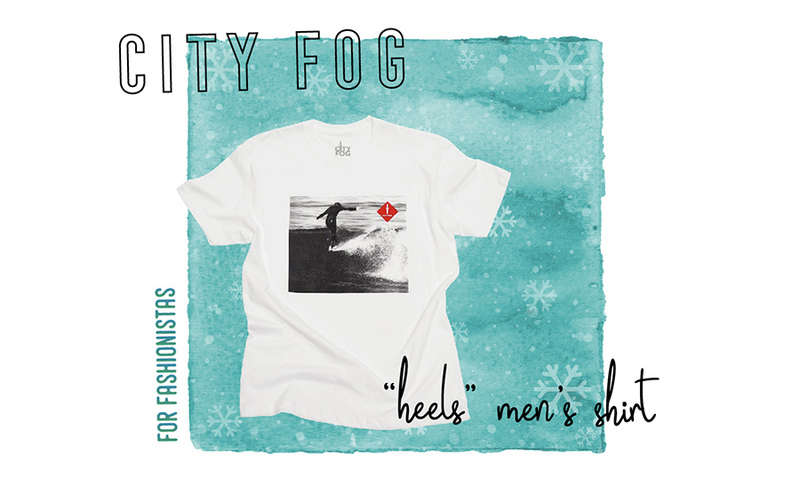 Really loving that City Fog T-shirt! Just bought it thanks to your wonderful list! Great job! 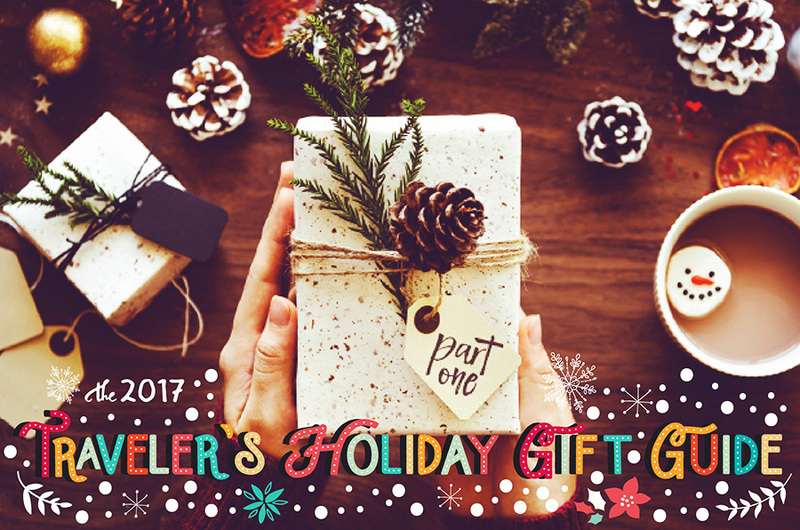 This is a nice curated list of traveler’s holiday gifts for 2017. All of them look unique and excellent as gifts. My personal favourites here however would be the recycled backpack and the bucket list poster. Hope I get these gifts! The world at your feet are so cute. Definitely one for the traveler, so useful in the summer holiday but suitable to use indoor anytime too. I, however, personally am interested to recycled backpack. Very cool concept to start with!